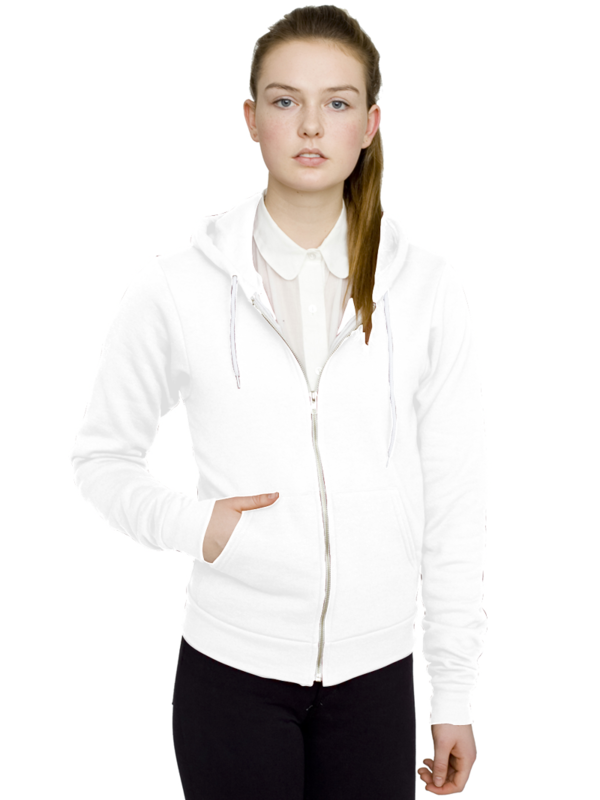 - American Apparel Adult Unisex 8.2 Ounce Flex Fleece Zip Hoodie. - The coolest, softest, most sought after hoodie on the market. - 8.2 ounce 50/50 polyester and combed cotton fleece. - White drawstring, white metal zipper and cozy kangaroo pockets.